Have you noticed signs of mold growth in the crawl space under your home in Atlanta, Georgia? If so, you’re not alone. 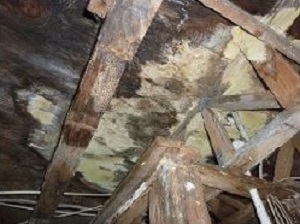 Mold is quite common in Georgia, where the high humidity allows it to thrive in dark, poorly ventilated areas, such as crawl spaces. Unfortunately, what can seem like an isolated mold problem in your crawl space can send mold spores into the living areas of your home, jeopardizing your health. If you want to resolve this problem, you can rely on Abatement Solutions Inc. to identify the extent of the mold contamination and utilize the most effective mold remediation techniques to ensure your house is a safe environment for you and your family. Our experienced Certified Mold Remediation Contractors have removed crawl space mold for families throughout Atlanta, GA, so we know what steps to take to put an end to the mold contamination. In fact, we guarantee that if any mold reappears within 10 years on the surfaces we treat, we will return to your home and remediate the problem for free. To eliminate the mold growth in the crawl space under your Atlanta, GA, home, contact Abatement Solutions Inc. today.